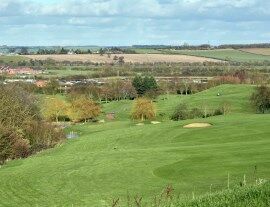 The Leicestershire & Rutland Golf Union operates a 'County Card' whereby members of clubs that are part of the scheme can get discounted golf at participating courses. Members of participating clubs can get their County Card from their Club Secretary or Manager. Clubs participating in the scheme are listed on the BB&O website. (Note that the charges for cards referred to on the BB&O website do not apply to L&RGU members; L&RGU members receive County Cards free of charge - see 5). 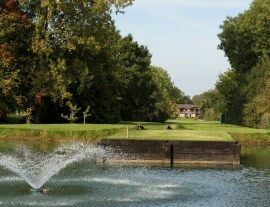 Members may play each course once only during the year at the reduced Inter County Card Green Fee. Members must book by telephone and the card/booklet must be produced as proof of identity to obtain the concession. An Official of the host club must enter the date of the visit and sign in the space provided. The County Card is available free of charge to all members of the L&RGU and the L&RLCGA. Juniors with a Max Handicap of 28 are allowed to use the card. Note that some classes of players are not acceptable at a few courses in the scheme. A Member is entitled to only one card per year, even though he/she may be a member of more than one club. Card is Valid for use for 12 months and the scheme operates between 1st April and 31st March. 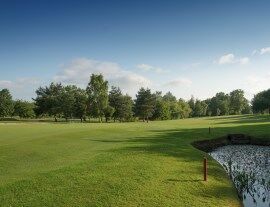 If a Member wishes to play more than one round on the day, permission must be agreed with host club. The card may not be used when the holder is visiting as a member of a Golf Society, Team or Organised Party. The host club's dress rules, both in the clubhouse and on the course, must be checked before play and strictly adhered to. 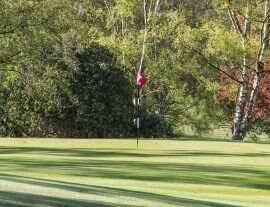 Note that all participating counties do not have exactly identical rules, some vary slightly and therefore it is the responsibility of the player using the card to check before booking that he/she is entitled to play at a particular course. The card is not transferable to any other member (or non member).